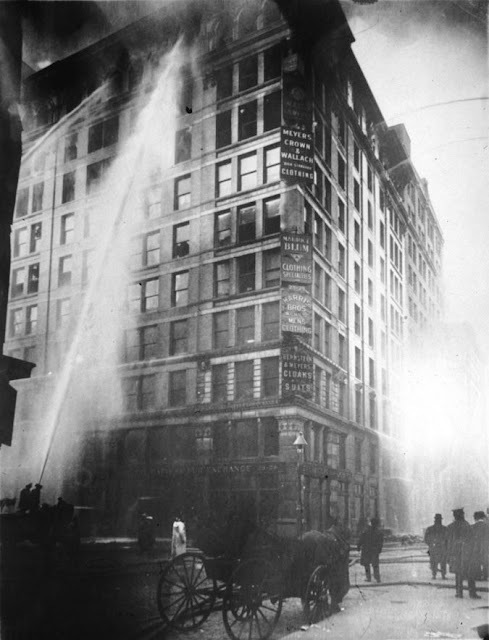 Tomorrow, March 25, marks the anniversary of the deadly fire at the Triangle Shirtwaist Factory in 1911. It remains one of the deadliest industrial fires in American history and a turning point for worker safety and unionization in America. Long before the fire broke out, the factory was infamous for its poor labor practices. In 1909, New York’s largest job action, known as the “Uprising of the 20,000” began when workers walked off the job at the Triangle Shirtwaist Factory. For months, the majority of the city’s shirtwaist factories were crippled by the strike, but the factory owners refused to budge. Though the International Ladies Garment Workers Union brokered a settlement in 1910 that stopped short of forcing the recognition of their union, the owners of the Triangle Shirtwaist Factory, Max Blanck and Isaac Harris, refused to agree to it. The factory’s workers went back to work having gained few concessions. On the day of the fire, a Saturday, only about half of the factory’s 500 employees had come to work. Just as the afternoon shift was ending, a fire broke out on the eighth floor. Typical of garment centers of the day, the factory floor was a virtual tinderbox, with clothes, scraps of cloth, and unswept trimmings everywhere. When the fire started, the majority of the workers on the eighth and tenth floors were able to escape,* but those on the ninth floor had been locked in. This was done, some speculated, to cut down on unauthorized breaks, though it is also likely that it kept union organizers off the factory floor. Soon the elevators stopped working, which meant that the only remaining exit was the fire escape. Tragically, the fire escape had been poorly installed and maintained, and when too many young women began to climb down, it collapsed beneath their weight, sending them plunging to their death. The rest of the women on the ninth floor were then faced with jumping out of windows or waiting to burn to death. Many chose the former, raining down on the assembled crowd from above. The fire department did arrive, but as their ladders reached no higher than the sixth floor, it did little to save the women. In the end, 146 women died, most of them at the scene—some were only thirteen years old. * Blanck and Harris, the owners, were able to get up to the roof and escape from there. Though the fire forced the Triangle's owners to abandon the factory, the building still stands at the corner of Washington Place and Greene Street. Then known as the Asch Building, it was renovated and reopened the next year. However, a New York Times article from 1913 noted that the building's tenants hadn't learned many lessons from the fire -- "they were, in fact, heaping its floors with scraps of clothing and flimsy material... and permitting smokers to stand near these heaps--(revealing) once more the singular carelessness of humanity." 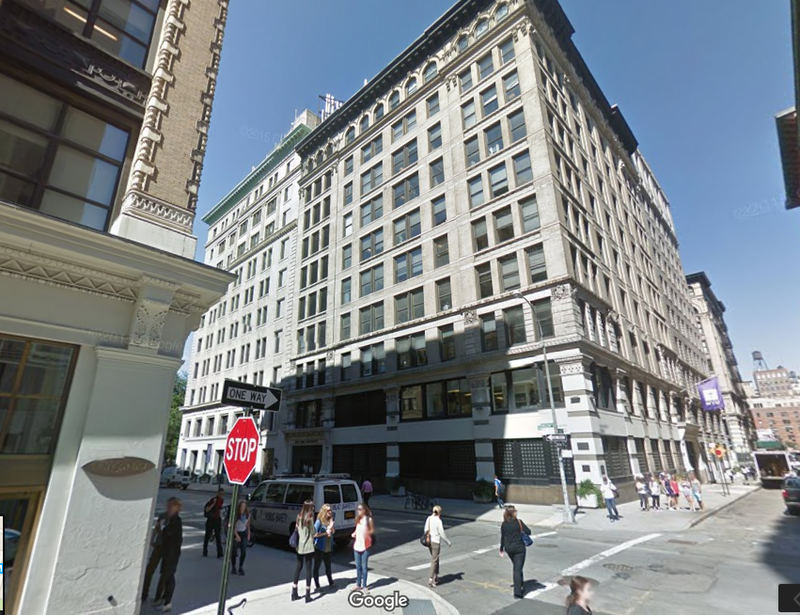 The building was purchased by NYU in 1929 and renamed the Brown Building; today, it houses university classrooms. This post in adapted from an earlier entry in 2009, and one marking the centennial of the fire in 2011.